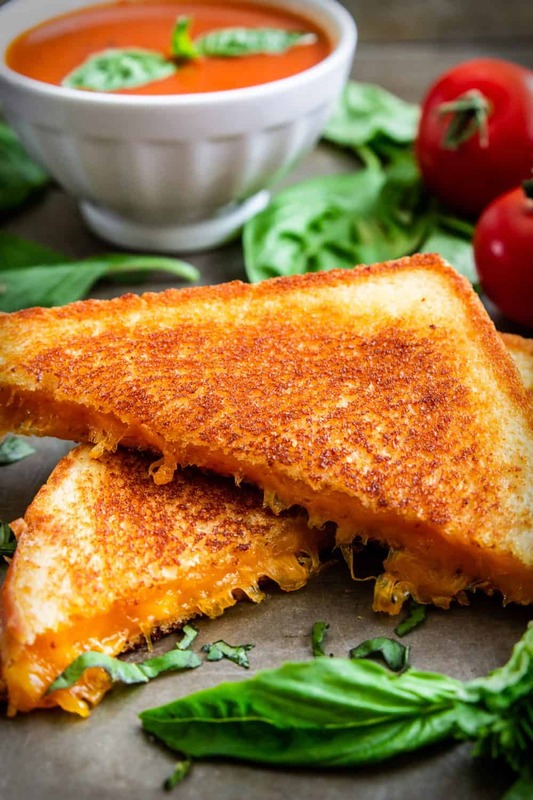 Have you ever wondered How to Make a Grilled Cheese Sandwich that is simple but delicious? This recipe couldn’t be any easier but will give you a classic grilled cheese that is better than you’ve ever tasted. If you love good old classic sandwich recipes, try our tuna sandwich and turkey sandwich too! This recipe was originally posted April 12, 2018, we’ve tweaked it a bit since then. This post may contain affiliate links. Read my disclosure policy here. In celebration of National grilled cheese day, I present to you a classic recipe that you can’t go wrong with. 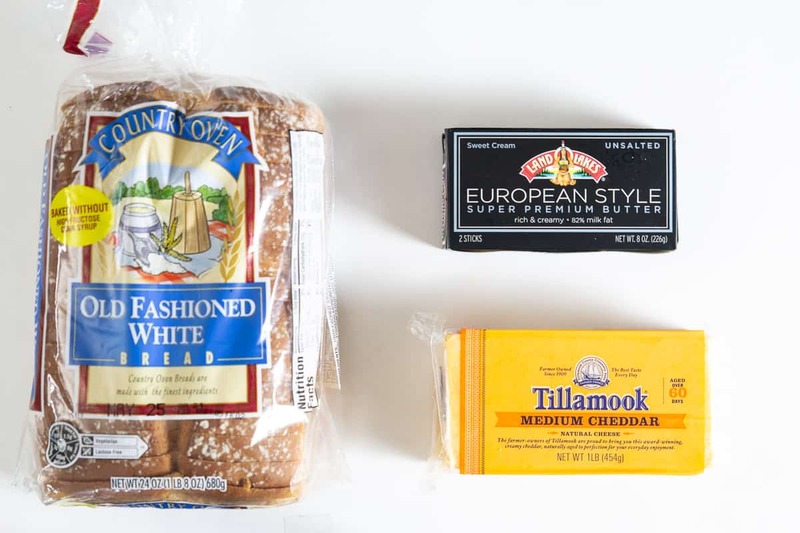 This classic grilled cheese sandwich recipe is as basic as it gets. Lots of cheddar cheese, butter, and of course white bread, no whole wheat substitutions here. Let’s be real if you’re going to attempt making a grilled cheese sandwich “healthier”, might as well go eat something else. I personally don’t make these too often because they’re not really healthy. You know what they say, the whiter the bread the quicker you’re dead lol. But really, all jokes aside, we’re human, It’s ok to have a little cheat meal here and there. There are so many variations of grilled cheese sandwiches, which I’m sure taste amazing. But there’s just something about the classic version that brings pure nostalgia. Although this recipe is super simple, it took me some time to perfect it. Don’t use pre-shredded cheese. Instead, grate your own cheese from a block of cheddar. The texture and taste of freshly grated cheese make all the difference. Add softened butter to the bread slices instead of the pan. This will help you achieve an even golden crust. Cheesy Baked Orzo: A simple and quick 5 ingredient pasta dinner. French Onion Soup: Topped with french bread and bubbling fontina cheese. Cheesy Mushroom Pinwheels: Puff pastry rolls with mushroom and mozzarella cheese. Grab my printable recipe below for complete details and measurements. I prefer using a cheese grater and grating my own cheese rather than using slices or pre-shredded cheese. Butter both pieces of bread, and then place into your skillet on medium heat. Top with cheese, another slice of bread, and cook as directed. A classic grilled cheese sandwich is best served with your favorite soup. Tomato basil is a favorite, but it also pairs well with our Mushroom Soup Recipe. I love a nice sandwich for a fast meal. Now that you know how to make a grilled cheese sandwich, you’ll find yourself serving this on a regular basis. If you want something a bit different, you might want to try my Brisket Sandwich Recipe or even my Caprese Sandwich Recipe. No matter what you choose, these comfort foods are sure to satisfy your family. 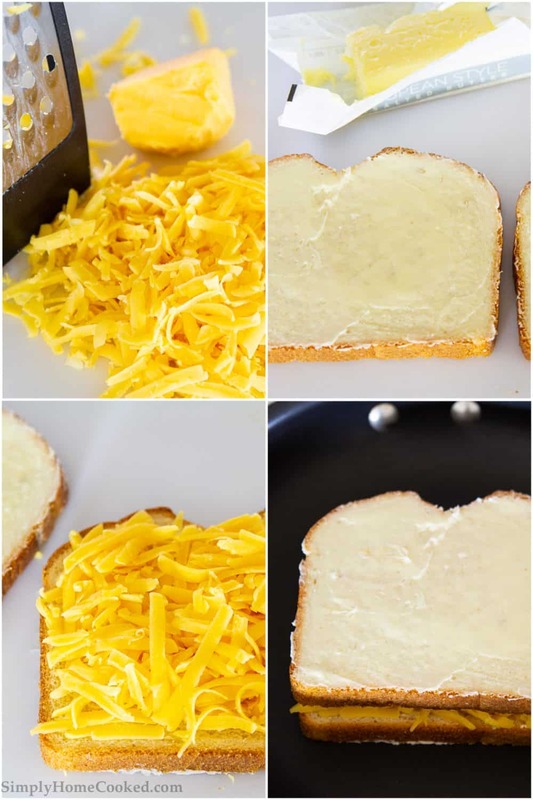 Have you ever wondered How to Make a Grilled Cheese Sandwich that is simple but delicious? 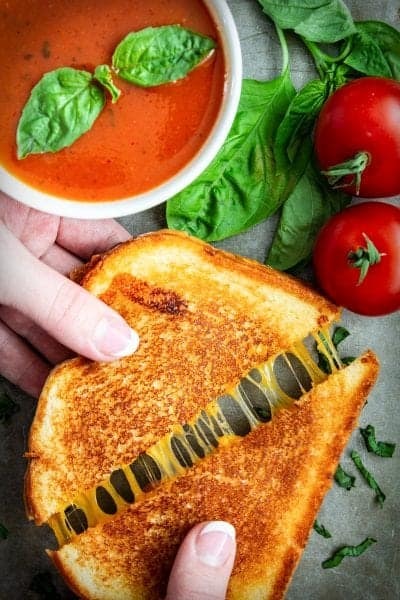 This recipe couldn't be any easier but will give you a classic grilled cheese that is better than you've ever tasted. 1 . Grate the cheddar cheese. I usually grate a little over 1/4 cup for each sandwich. It’s up to your how much cheese you want to put. 2 . Butter both outer sides of the bread with softened butter. I put a pretty generous layer on. 4 . Once the sandwich is done, slice it and serve with tomato basil soup. It is so very nice to talk about eating for taste or pure enjoyment. I do the same as you but have used pimento cheese like my mom did years ago. After reading that bread comment, I hesitate to say the sandwich is “to die for”.